Industry 4.0, or the Fourth Industrial Revolution, is a new approach to combining traditional manufacturing processes and technology, such as the Internet of Things (IOT), and Artificial Intelligence (AI) to improve automation, communication and use of real-time data. It holds the promise of better synergy between machines and their human counterparts and will help manufacturers to innovate faster. All humans in your company - from the shop floor to the top floor, will be empowered and impacted by Industry 4.0 so it is important to get up to speed and stay on top of emerging technologies. 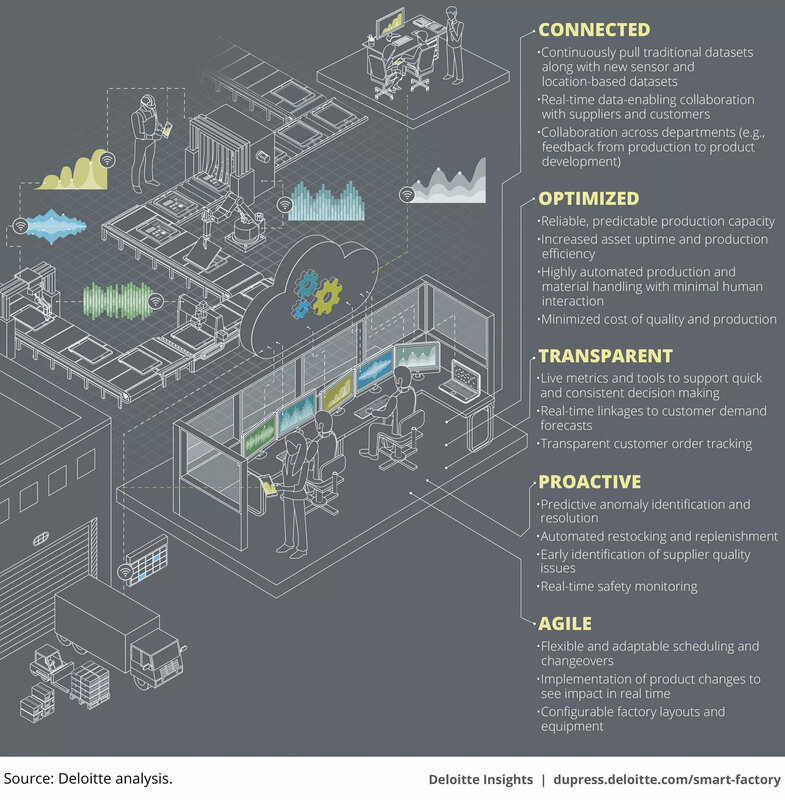 At the heart of Industry 4.0 is the smart factory - a place where big data flows steadily from well-connected operations and production centers to drive all parts of the business. A smart factory can predict change, and has the ability to quickly adapt operations to meet customer demands. Smart factories are agile and learn from data in real time. This agility helps manufacturers enter new markets, respond to disruptive trends in their industry, deliver better or new products, and get ahead of operational challenges like equipment maintenance and downtime. Connected - Processes, machines, and humans are connected to provide real-time data to make decisions. Optimized - Increased uptime and productivity, and highly automated with minimal human interaction. Transparent - Visibility of customer demand forecasts, order tracking, and other live metrics that allow for real-time decision making. Proactive - Constantly stocking and replenishing materials, early identification of supplier quality issues, and real-time safety monitoring. Agile - Adaptable scheduling changeovers, implementation of product changes in real time, and configurable factory layouts and equipment. What should manufacturing companies be doing right now to fully adopt Industry 4.0? Experts say you should start small, especially if you have limited resources to make the transition. It will be an ongoing evolution, not a 'one and done' effort and you'll have to recruit, hire and train the right talent to help you with Industry 4.0 adoption. Experts also recommend that organizations appoint individuals or teams to monitor emerging technologies to stay on top of trends. As you progress, your company will have to continually test technologies, processes, and people to make sure that you have the right mix before you fully commit to any or all. Marketing is a key component in the adoption of Industry 4.0. Digitizing your marketing efforts will make you more connected, agile, proactive and optimized. When you're ready to automate your marketing and leverage data to better understand your customer behavior, we're ready to help. Preparing for Industry 4.0 can seem like a daunting task. Breaking it up into smaller initiatives and working with outside experts as needed, will help you get there. 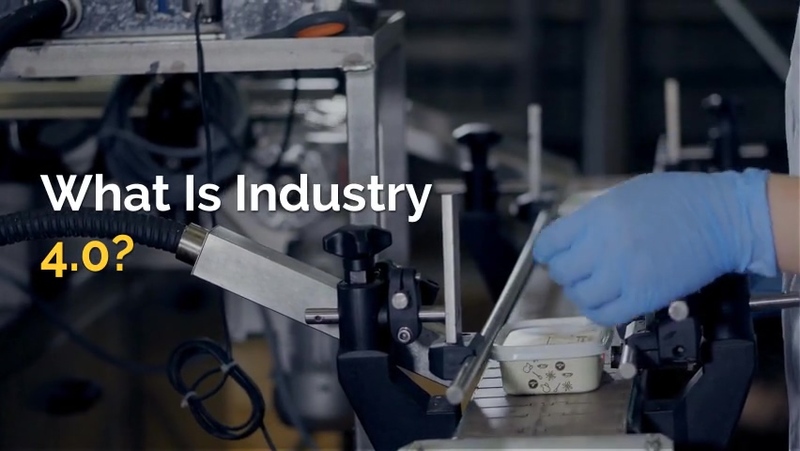 We're industrial marketers that are currently working with Michigan manufacturers to show them how marketing fits into Industry 4.0, let us know if you need help.